A girl and her horse !! 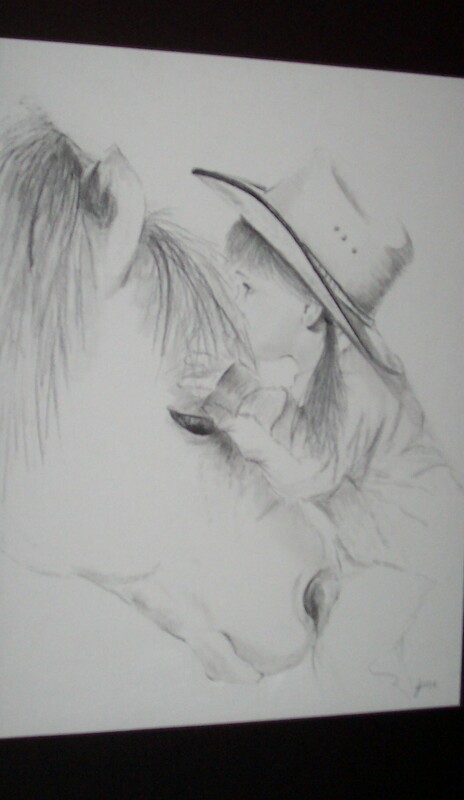 I love this charcoal picture – the simple love between animals and children. I did this picture acouple years ago, and am so happy that it has found a new home – a woman who fell in love with it, and said “it speaks to my soul” . That is a wonderful compliment !! I am so blessed to get to do what I love, and be lucky enough to have others that like it ! This entry was posted on February 18, 2011 by dakotablessings. It was filed under Uncategorized . This is SO cool — the new owner will be delighted to display this, I’m sure — congratulations!!! !